This paper aims to quantify and analyze the impact of open access (OA) on the obsolescence characteristics of journals. A total of 15 journals that changed their status from closed to open access in 2012 and 2013 were selected for a longitudinal obsolescence investigation. Based on the cumulative citation rate distribution model, two ageing time parameters were identified from the actual citation process to quantify the obsolescence of cited journals. The experimental results show that the journal presents three different obsolete phenomena: “Sustainable growth”, “Oscillatory decline” and “Flash in the pan”. OA does have an impact on the obsolescence characteristics of the journal, which is expressed as an increase in the value of the ageing time parameter for any category of journals during or after their conversion year. But this impact does not necessarily persist over time, especially for the latter two types of journals. And OA does affect readers’ concern about the old articles in journals, but this concern may also be short-lived. For journals of “Oscillatory decline” and “Flash in the pan”, their recently published articles will be more concerned than old ones, which has directly led to the growth of journal impact factors. 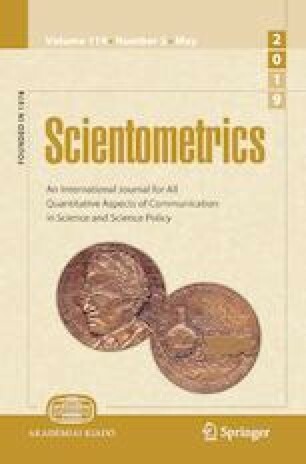 For most of the “Sustainable growth” journals, it has shown a “polarization” tendency of citation distribution: towards citing more newly and more old publications, which also helps to improve the impact factor of journals. However, there are still a few “Sustainable growth” journals with their older articles are more likely to receive attention than newly published ones. In addition to extending the ageing trend for these journals, it does not help to improve journal impact factors. Therefore, OA does not necessarily improve the impact factor of journals. The online version of this article ( https://doi.org/10.1007/s11192-019-03085-0) contains supplementary material, which is available to authorized users. This work was supported by the National Natural Science Foundation of China (Grant No. 71473034), the financial assistance from Postdoctoral Scientific Research Developmental Fund of Heilongjiang Province (Grant No. LBH-Q16003), and Natural Science Foundation of Heilongjiang Province of China (Grant No. F2018001). Verstak, A., Acharya, A., Suzuki, H., Henderson, S., Lakhiaev, M., Lin, C. C. Y., & Shetty, N. (2014). On the shoulders of giants: The growing impact of older articles. http://arxiv.org/abs/1411.0275.